For more information or help, please ask us! How do I join ASCE at UCLA? 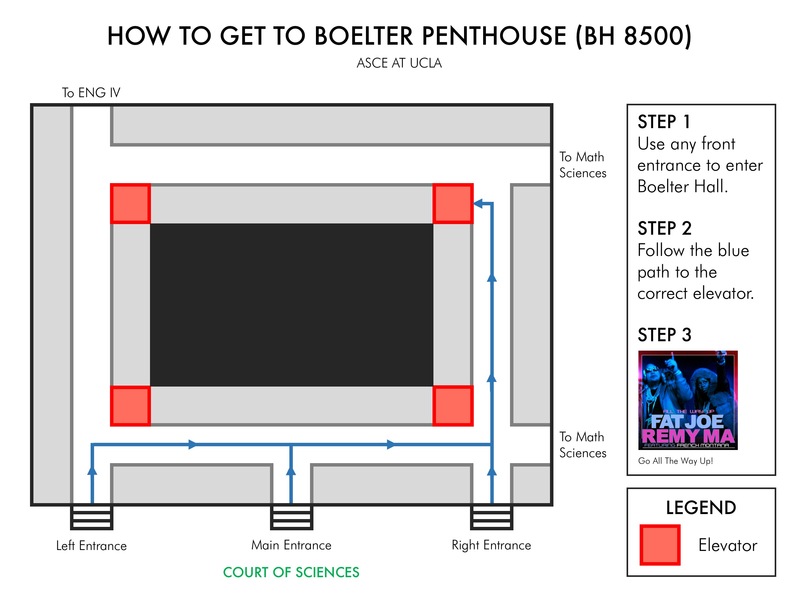 Joining ASCE at UCLA is a quick 3-step process! 1) Fill out our Membership Form. 2) Attach your $30 annual membership fee. 3) Place the form with your membership payment into the submission box in the ASCE Lounge. National Membership offers additional benefits such as eligibility for over $75,000 in awards and scholarships; free monthly subscriptions to the Civil Engineering magazine; free access to ASCE's library of publications, ebooks, and resources; and a free pair of sunglasses from us! National Membership is free for students and it is required in order to attend Pacific Southwest Conference each year. Click here to learn more. Where can I find information for upcoming events? All our events are posted in our Google Calendar and in the ASCE Lounge. We also post the major upcoming events in our Facebook group every so often, so be sure to follow us! ​How do I become an ASCE officer? ​Elections are held every Spring Quarter. Any ASCE member is eligible to run and vote for positions. There are also opportunities to get a leadership role by getting involved in a project or applying for the annually elected secretarial position in Winter Quarter. For more information, please contact any ASCE Board Member. How can I sponsor ASCE at UCLA? You can sponsor ASCE by funding our projects, providing materials and resources, or contributing to our professional events. Visit our sponsorship page to learn more. Can I be added to the alumni email list? Yes, if you are a UCLA alumnus! We send our quarterly newsletters and a list of the upcoming Alumni events like the Fall Alumni Tailgate and Winter Alumni Panel to all our alumni through this list. If you are an alumnus and wish to be added to this list, please let us know here. Where are the ASCE lounge and Boelter Penthouse? We understand the difficulty of getting around in Boelter Hall. The entire building is a maze! Our ASCE Lounge is located at Boelter Hall 2745. It is on the left side of the main building, below the long set of stairs by Bomb Shelter, if you are coming from Court of Sciences. The Penthouse is located on the rooftop of Boelter Hall at Boelter Hall 8500. To get there, you will need to take the elevator or the set of stairs by SEAS Cafe, which is roughly on the right side of the building. Here is the map. PSWC? IM? What do all these abbreviations mean? The abbreviations can get confusing at first. Hopefully, the following list will help clear things up!